Uniform Store: Be Ready for Learning and Activities and Look Great! Understand our uniform requirements and pricing for all students as well as Dalat extras that will have everyone ready for school. Welcome to the Dalat Store and Uniform Shop! 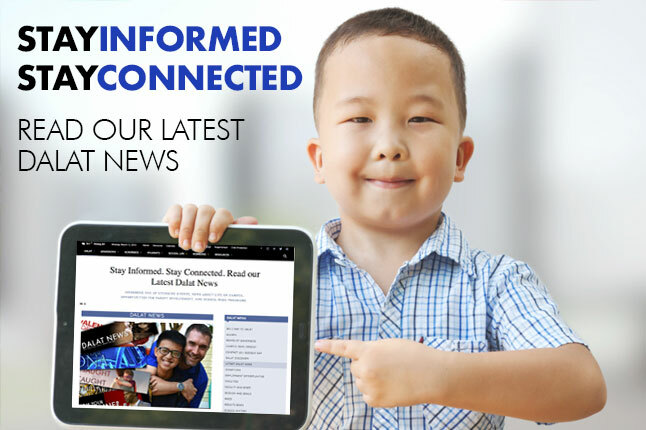 Here you will find uniform standards and pricing for all students as well as Dalat extras that will have everyone ready for school. 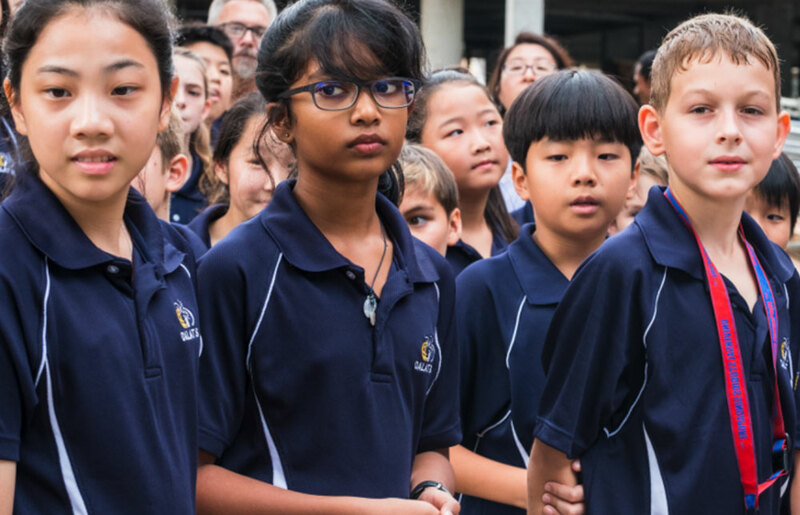 Dalat International School requires all students to wear the uniform for their grade level during the entire school day. There is a special physical education (PE) uniform to be worn during all PE classes. 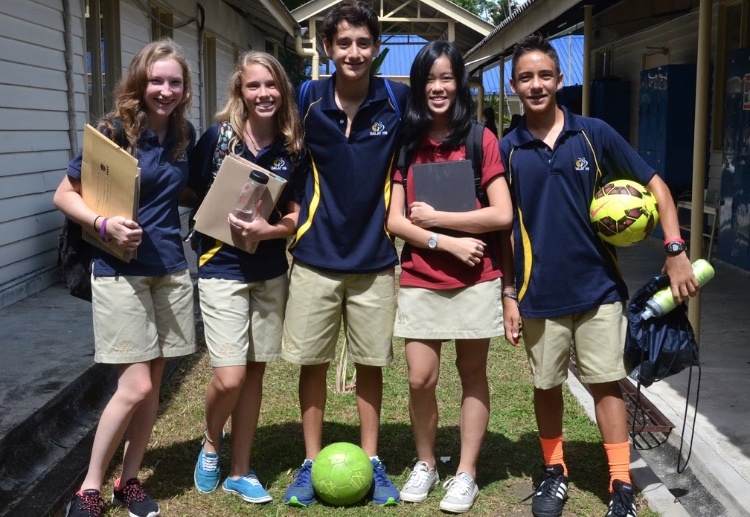 Dalat uniforms and PE uniforms can be purchased anytime during regular business hours in the school office and in the Uniform Room at specially scheduled times before each semester. Middle school students will also be required to purchase a performing arts polo shirt from the school for concerts and buy their own black dress pants. The performing arts polo shirts are not available in the Uniform Store but orders will be taken the first week of school and will arrive before concerts take place. 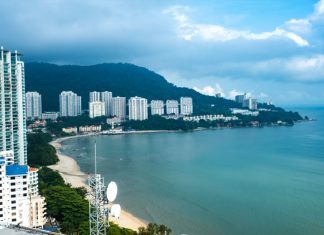 We encourage families who are already in Penang to purchase uniforms shortly after paying the registration fee to avoid long lines. Due to occasional sizing inconsistencies, we strongly suggest that you have your child with you when buying uniforms and they can be tried on prior to purchase to allow for proper fit. Uniforms may be purchased with cash or charged to the school account. It is a good idea to put the child’s name unseen somewhere on the uniform as it is easy to get mixed up between classmates. 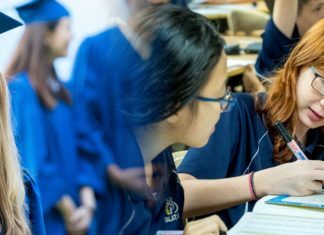 If you have any questions please call the school office at +6 04 899-2105 or email us at the school office on info@dalat.org. 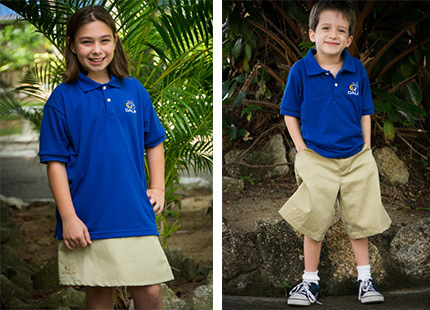 The elementary school uniform is a Dalat logoed royal blue knit collared shirt and Dalat logoed khaki shorts. Girls can also choose to wear the Dalat logoed khaki skorts (skirt/shorts). Pants can be special ordered from the office at the beginning of each semester but a stock is not kept in the uniform shop. Each child is required to wear the Dalat logoed PE shirt and shorts during physical education class twice a week. There is no uniform standard for shoes. However, elementary school students are required to wear shoes or sandals with a back and must wear sports shoes and socks when participating in physical education and athletics. If the child wants to wear an additional layer in the classroom the covering must be an official Dalat cover-up. Dalat Hoodie zip-up sweatshirts are available in the Junior Class Store for this purpose. The Dalat Middle School and High School uniform is a blue colored knit Dalat logoed shirt, khaki pants, shorts and skorts (short/skirt) for girls. Uniforms must be clean, neat and well pressed each day. 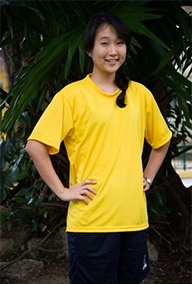 Each student is required to wear Dalat PE shirt and shorts during physical education classes. Proper sport shoes and socks are required for physical education and athletics. Middle school students will also be required to purchase a performing arts polo shirt from the school for concerts and buy their own black dress pants. There is no uniform standard for footwear but students must wear shoes that are sensible and reflect an academic atmosphere. Beach flip flops are not appropriate. If the student wants to wear an additional layer in the classroom the covering must be an official Dalat covering. Dalat Hoodie zip-up sweatshirts and athletic pull-overs are available for this purpose. The Physical Education (PE) uniform for all grades is a gold Dalat logoed waffle-weave, dry-fit, athletic shirt. The shorts are a navy blue Dalat logoed waffle-weave, dry-fit, athletic shorts. This uniform must be worn during all PE activities. PE uniforms should be taken home after every use and washed before being worn again. It is suggested that families write their names inside the PE uniforms so they can be properly identified by students. Visit Dalat: We Would Love to Get to Know You! 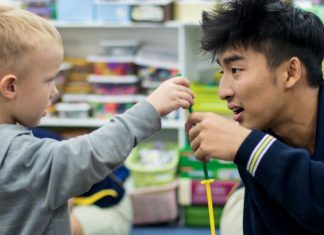 After your initial questions about Dalat are answered either via email or phone conversation, we invite you to schedule a visit to our school.